Offering you a complete choice of products which include glyco-a cream, golden pearl daily face wash, golden pearl herbal face wash, golden pearl beauty cream, eukroma cream and glycolic acid cream. Golden Pearl Daily Face Wash’s formula is helpful for oil control and very effected for oily skin, it is equally beneficial for both, women, girls and men. Golden Pearl Daily Face Wash excess oil effectively and works to remove dirt and impurities of the skin that cause spots and blemishes, leaving your face fresh, clean, clear smooth and beautiful. Use it two time daily, early morning and night before going sleep instead of soap. Squeeze a little into your palm, add water and lather. Apply to your face and neck and massage gently. Rinse with warm water and gently dry. 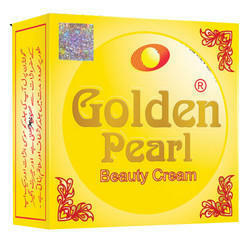 Golden Pearl is a famous local skin care brand manufactured by Golden Pearl Cosmetics. Overall the brand is gaining a lot success with its more products lined up like facials, scrubs, whitening soaps and anti-wrinkle formulas. 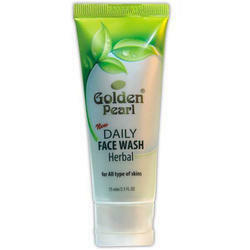 Golden Pearl New Daily Face Wash With effective cleansing system. 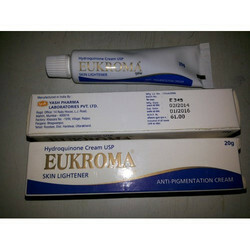 For All Types of Skins: Specially formulated for all types of skins, gently removes excess oil & other skin impurities. 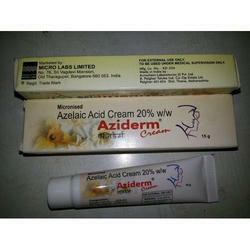 It also helps to keep your skin fresh, clear and problem free. Directions: Use it twice daily instead of soap. Squeeze a little into your palm, add water and lather. Apply to your face and neck and massage gently. Rinse with warm water and gently dry. Golden pearl beauty cream is the only cream clear pimples, wrinkles, marks, hives even shadows under the eyes and turns your skin white. Ingredients: Carnauba Wax, Kojic Acid Dipalmitate, Bees Wax, Herbal Extracts, Sun Screen Agents, Emulsifier, Preservatives and FD&C Colors. We offer a wide range of Skin Care Creams that are prepared by a perfect combination of vitamins, aromatic and essential oils. The nourishing factor of our products strengthen rejuvenation process of replenishing the essential nutrients in the skin. Offered at market leading prices. 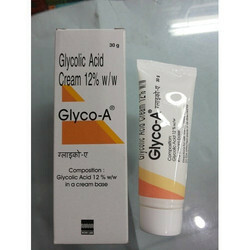 Glyco 6 Cream (Glycolic Acid) is used to rejuvenate the user`s skin and soften any fine lines, resulting in fresher and more youthful looking skin. 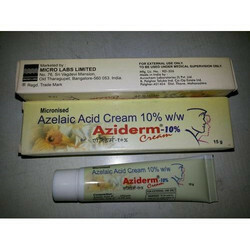 It is made using natural fruit acids and works by increasing skin cell tuover, shedding old sun damaged skin cells faster and allowing newer and fresher skin to replace them. 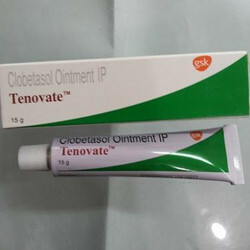 Tenovate Cream (clobetasol cream) is used to treat itching, redness, dryness, swelling, and discomfort of various scalp and skin conditions, including immune-mediated skin disease with red scaly patches (psoriasis). Tenovate reduces the actions of chemicals in the body that cause inflammation. 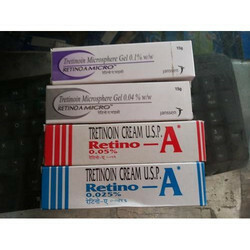 Retino-A is the most commonly used Tretinoin cream in India. 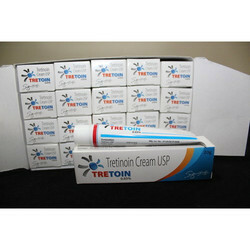 Tretinoin is an acid form of Vitamin A usually prescribed for acne vulgaris, acne scar treatment and sun-damaged skin. Both women and men can use Retino-A. 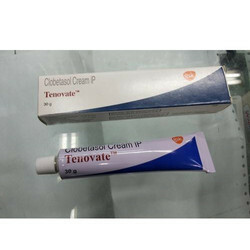 We are offering Tretinoin Cream to our client.